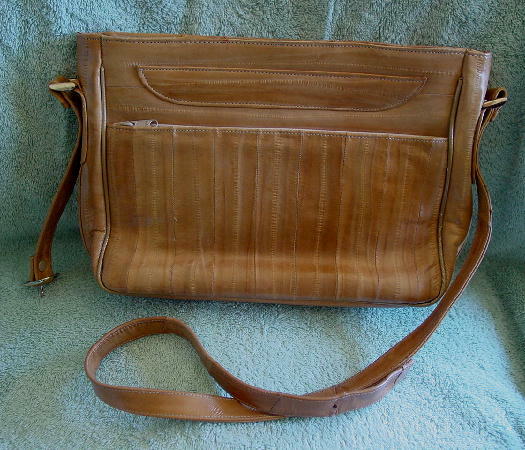 This vintage camel color eelskin purse has a top side to side zipper closure with a sand color suede lining and an interior zippered pocket. It has a 40" long by 3/4" wide eelskin shoulder strap. There is a 10" wide by 6 3/4" high zippered compartment in the front and another in the back, and they have dark sand color tone-on-tone design synthetic fabric linings.